California voters this fall will decide on Proposition 10, a statewide ballot initiative that would allow cities and counties to greatly expand rent control. Supporters argue the measure is needed to slow the state’s ever-increasing rents. But there’s strong debate about whether Prop. 10 is the right answer to the state’s affordable-housing crisis. 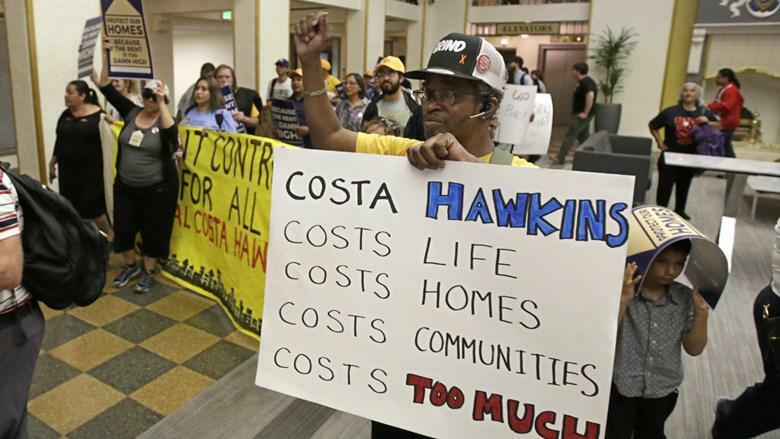 The measure would repeal the state’s Costa-Hawkins Rental Housing Act, which prevents cities from putting a cap on rents for apartments built since the law went into effect in 1995. And it exempts condos and single-family homes from any rent control. Opponents, however, maintain the measure would make California’s affordable housing crisis worse — not better. Steve Maviglio, spokesman for the No on Prop. 10 campaign, said it would scare away developers, potentially shrinking the future supply of rentals. Dean Preston, executive director of Tenants Together, said those fears are overblown. Given the mountain of cash raised for and against Prop. 10, Californians can expect to see quite a few campaign ads over the next two months. Apartment associations and real estate groups had contributed nearly $30 million to defeat the initiative as of late August. Supporters, meanwhile, had raised more than $12 million dollars for it. Voters will have their say on November 6.